With 901,574km2 of vast landscape, Outback Queensland can be a daunting experience for a first-time traveller. But don’t be scared – it’s a friendly place. 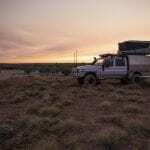 To make planning your trip west a bit easier, here are some tips for making the most of your maiden voyage to the outback. Keen to get planning? Be sure to check which major drive route to take, download a map or two, or print off one of more of the family-friendly drive route experiences. 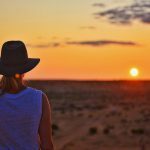 There’s nothing better than saving a bit of $$$ on a holiday; particularly if you’re wanting to travel through the Outback for quite some time. With deals on accommodation, food, tours and merchandise, make the first card you pull out of your wallet your Outback Mates one. Pick up yours for $20 online or at any participating Visitor Information Centre. If there’s any excuse to head to the Outback, it’s to time it with one of the memorable, quirky, classic and hard yakka calendar of events. Not only is the outback home to a national award-winning rodeo and the world’s most remote musical festival, the Outback offers a range of sporting, race and cultural events. Whatever you wish to attend, grab your tickets, book camping spots early, plan your road trip and enjoy all things country. Not sure what’s coming up next? Check the Events Calendar here. 4. It actually gets cold out there! While you can’t deny the temperatures of Outback Queensland in summer, you won’t regret packing the woollies if visiting between April and August. Winter nights, particularly out west in Channel Country and beyond can fall below freezing, so you don’t want to be without a warm swag, gloves and a cuppa. Ditch those thoughts of anything solely dirt and dust (unless you’re trekking to Julia Creek in April) – there’s plenty of places to get wet in Outback Queensland. You’ll want your swimmers as you plan for a dip, fish, kayak or day out in the tinny. That’s right, while there’s plenty of red dirt, you’ll still be able to cool off in a peaceful river, creek or dam along the way. 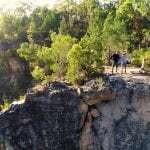 Some of our top spots include Callide Dam near Biloela, the Thomson River in Longreach, Chinaman Creek dam in Cloncurry or the natural pools of Porcupine Gorge. For those looking for a little more 5-spa treatment, we suggest the artesian spas of Mitchell or the mud bathing experiences of Eulo. It’s not just cups of Bushels, cold bevvos and damper – there’s more than just the traditional on the Outback table. With steaks and meat pies as your staples, try some delicious desserts, pizzas, juices, outback branded coffee, wine and Asian-inspired dishes found across the outback. For more tips on where to grab a bite to eat, check out ‘What to eat in Outback Queensland’ and these 15 must try meals. Drop by your closest pub or Visitor Information Centre and you’re guaranteed more than a friendly ‘G’day’! 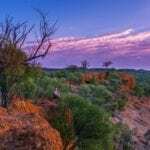 The Outback is nothing short of welcoming and locals are more than happy to share their stories, thoughts and tips for a true-blue Outback holiday. And no we’re not referring to all things American (unless you count the Secret US Top Base in Charleville), but the brilliance of a starry night sky in any corner of the Outback. Unlike the big smoke locations, you can admire the glitz of the Milky Way, Big Dipper and Southern Cross with ease out here. We recommend staking out a starry night in the grounds of Lara Wetlands near Barcaldine, the famous Big Red sand dune of the Diamantina or at any of our suggested lookouts in Outback Queensland. For the science savvy star chasers, book in for a tour at the Cosmos Centre & Observatory to observe the outback night sky through a powerful Meade telescope. For those who have visited before, what are your tips for the first timers of #OutbackQueensland? Do your research, if your not sure of anything just ask a local. There are plenty of tours that offer all sorts of experiences. Joining a tour is a great way to get an introduction to the outback. 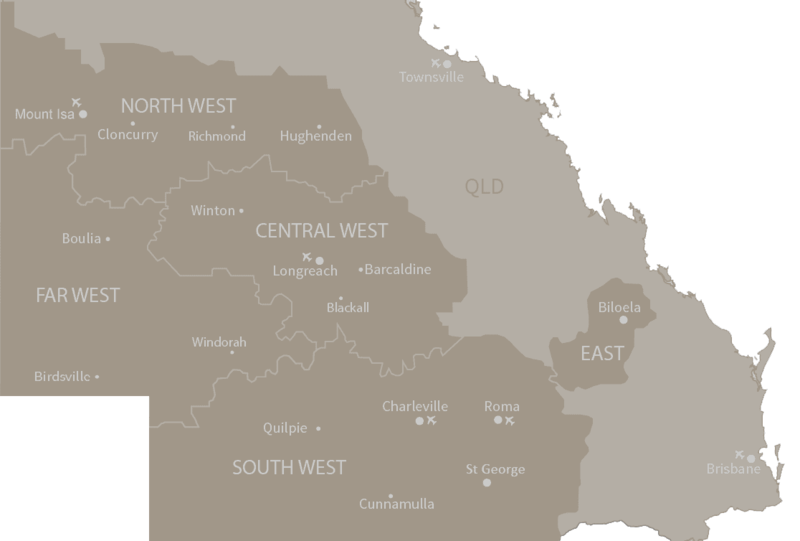 The outback is huge and planning your trip very important, summer is not the best time to travel Outback. Many of the attractions are closed or on limited opening times. I’ve been taking people to the outback for many years and I’m more than happy to offer advice to travellers, we want you to enjoy your trip and tell your friends about tha fabulous time you had in the Outback.